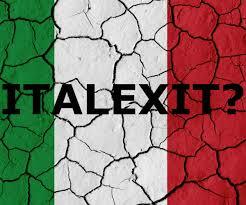 The referendum today in Italy is the first junction where the future of the EU will be determined, in case the Italian people will vote ‘No’ for embracing the reforms suggested by Italy PM Renzi, it might become the first step for domino effect start with Italian exit – Italexit from the EU and continue with bank system cries allover Europe. It is too soon to get into conclusions but the warning signs are up there. Just keep in mind that the price of the market and currency is always take into account all risks so even if the vote is not for Itexit, it will still be calculated into the currency of the EU and will affect mostly on EURUSD, GBPUSD. How you can use this information for your own good? as a binary option trader you need to know not only the technical analysis of the market, you also need to be familier with the fundamental environment, it’s a jungle out there, in order to survive you need to learn first the area and different creatures. On this weekly analysis i’ll go over some of the major assets and review the Bollinger strategy. As mentioned in the strategy, the strategy is more reliable when you take a step back to a wider time frame such as 1 hour and 4 hours, in the chart below there are two opportunities for good trades, it is not always as successful but the winning odds are great. For it simplicity, it brings nice successful rates. Another rule of course is the more the time frame is wider the successful rate of the strategy will increase accordingly. The strategy is most recommended with GBPUSD, Oil, EURUSD. For all traders who follow my analysis you already know i always recommend to trade on long time frames and also to choose carefully your trade by waiting for the right setup with a well designed strategy, and yet, i get lots of requests from traders who wish to have a strategy for short term time frames, so here is 60 second strategy for EURUSD. Once you see a breakout it’s time to hit a trade with the same direction. Oil – keep an eye on this one there is a good chance for a breakout from resistance line, you wanna be there when it is happening. That’s for this week, i hope you’ll have a succesful tradings, please leave me a message for any comment or question you have in mind.